Posted January 11, 2011 in Dennis Culver, Mister Miracle. 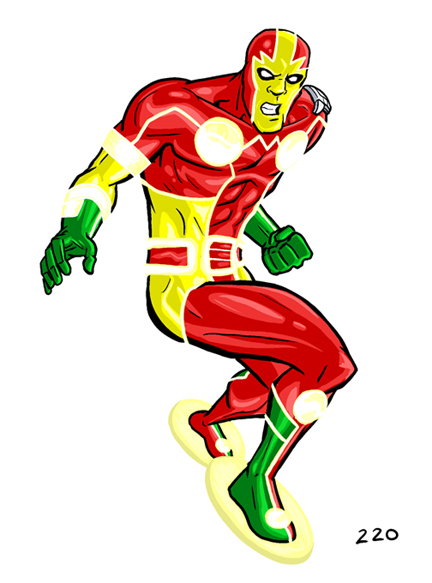 Mister Miracle courtesy of Portland, Oregon based artist Dennis Culver. Dennis’ comic credits include Jet Swanson A.S.E., Astrozombies and True Tales of Roller Derby. He is currently finishing the artwork for the forthcoming Oni Press graphic novel, Odd Schnozz and the Odd Squad. You can see more of Dennis’ work at daportfolio, Flickr and his Sketchjournal.